1. Who wins the series? All discussions regarding the Pens vs Isles playoff series goes here. I would have picked the Islanders easily two months ago. But lately they have not been good. I went with Pens in 5. On paper, the Penguins should have this. The only real question mark for Pittsburgh is defensively. However, since games aren't played on paper, and the Islanders have shown a propensity to be MORE than the sum of their parts, AND Barry Trotz has his guys playing playoff style hockey ALL the time, I feel the Islanders can match up very well here. Pittsburgh has the overall talent, but the Islanders play tough, play fast, can play very smart, and Robin Lehner and Tomas Greiss have been more than adequate in net. Can the Pens truly roll out four lines with offensive potential? I mean, if the Isles shut one down, they should have another, right? Also, can the Pens keep from making idiotic defensive decisions, taking dumb penalties at critical times, and keeping their wits about them when the inevitable Islander frustrate-the-opponent kicks in? And...Can the Islanders really ride the engine of Martin-Cizikas-Clutterbuck all the way through the series, causing havoc and allowing attention to be taken away from the offensive threats of guys like Barzal and Lee? 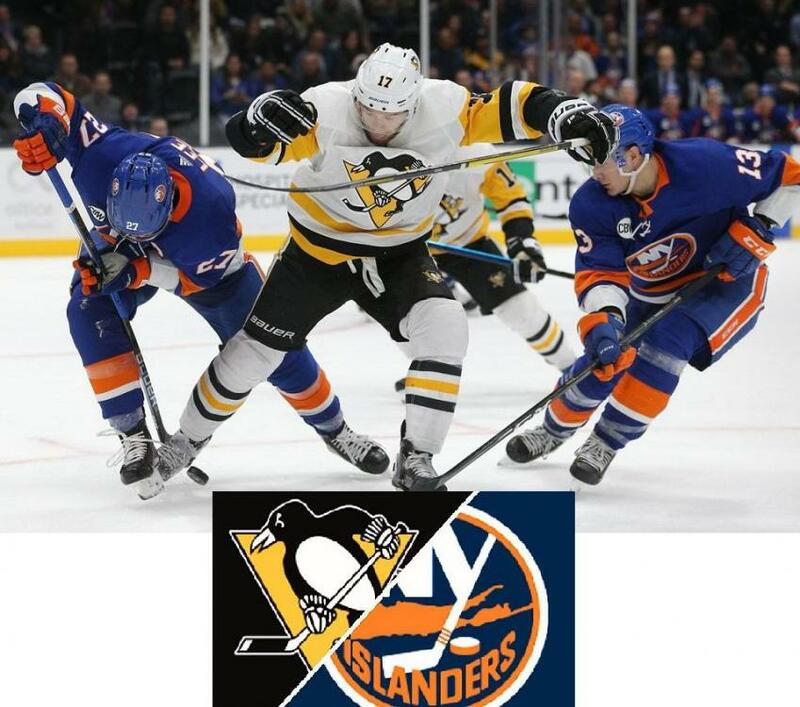 Is the Islander defense up to the task of containing 3, maybe 4 Pittsburgh lines? And can either Lehner or Greiss ignore the bright lights of the playoffs, the spotlight if you will, and just go about business as usual? Even though I feel, like the Tor-Bos series, both teams have things that they can seriously take advantage of on the other, I am going for the upset here and say the Islanders continue to impress, continue to be more than what the scouting reports say they should be, and win themselves a wild series in 7 games. 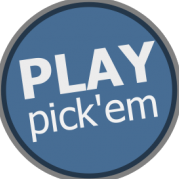 Barry Trotz' teams have a way of doing that to more favored teams.... ala old Nashville Predators. In another rematch from 2013, the Islanders will face the Penguins and have home-ice advantage in a series for the first time since the 1987-88 playoffs. Barry Trotz’s team also won the Jennings Trophy, which is given to “the goaltender(s) having played a minimum of 25 games for the team with the fewest goals scored against it.” What a year from Robin Lehner and Thomas Greiss. The Islanders allowed 196 goals in 2018-19, which is an improvement from the 296 that were scored on them last season. I sincerely despise both teams and I don't give a damn about either one. IMO the Isles are all smoke and mirrors. The Pens, who are not the same team they were 2 years ago, still have Crosby. Both teams had their struggles this year. IMO this series is the hardest of the series to pick. I truly believe that the team who makes the least amount of mistakes will win the series. I do see this series going 7. Well I hate them both too Pilldoc, but it should be interesting. I picked the Islanders. I am going to bet that Trotz had them on cruise control and that is why they looked very bad at times late. I would expect them to give Pittsburgh all they can handle. The Isles remind me of all the Trotz teams in Nashville, what they lack in talent they make up for in discipline and smarts, which is good enough for the regular season but gets you nowhere in the playoffs. Pens in six. Easy pick. This is the way I went for almost exactly the same reason. I, too, don't think it's a particularly hard pick. So, of course, you're wrong. Isles in 7. David Volek gets the GWG in OTin Game 7. I picked the islanders in 7....simply cuz it's the Penguins....and I hate them. Nice win for Long Island. I said I think this series is going 7 games, and based on yesterday's game (the Pens could have just as easily had this), that just may be the case. Pens will continue to match their top end talent against the complete team effort of the Islanders...makes for a fantastic ying yang thing this series will have going for it (Toronto at Boston may have a similar vibe), and kudos to Robin Lehner...the much maligned Robin Lehner, for showing that yea, he can be a playoff goalie....and a damned good one. But will Tomas Greiss get in any games? He was just as responsible as Lehner for the team's success during the season...in fact, I'd say both he and Lehner were more in a time share than a #1 and #2 situation. Either way, great win, but the Penguins will be looking to square things away in Game 2. Well, I wouldn't say I thought the Isles could be up 2-0, but pre-series I did have them nudging out the Pens in 7 games. How bout the Jackets being up 2-0? Had the Bolts winning that....but in 6 games....not the sweep or 5 games others had them winning at. 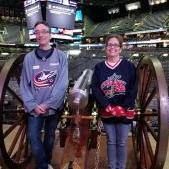 Columbus is a tough 2nd wild card...should've been contending for the Metro division with Washington and the Islanders. I really wanted no part of them in the first round for TB, but there they are. Bolts are gonna learn a lot about their fortitude in that series. 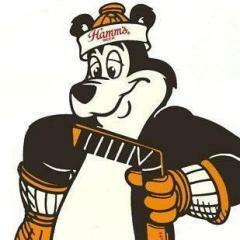 Just like the Pens are gonna learn how hungry they still are for another Cup. I wonder if the Isles can play this dominating against them NOT having the last change. Islanders knock off the Pens once again, this time IN Pittsburgh, sending the Birds into a very deep 0-3 hole. Pens came out strong, yet still, no answer for the tough defense, great goaltending, and dogged match ups of Barry Trotz and his team. Do the Pens make it interesting and maybe win the next two games to make this interesting before bowing out? Or do they get swept away? Or maybe they win the next four! Nah...….. Put a fork in them....the Pens are done. 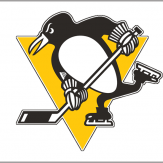 It has been a while since the Pens are on the brink if being ousted in the 1st Round of the NHL Playoffs. So far Crosby has laid a big fat GOOSE EGG. O G / O A and a (-3). Malkin has 1G and 2A. Holy cow is Lehner that good or were Ottawa/Buffalo so inept that he looked that bad? Wow. simply wow. that seems to be the million dollar question right now ...dosen't it. I find it comical how HJ thought the Sabres were cutting adrift junk. I tend to go with the latter....Sabres and especially the Sens were/are very inept. think about this stat .....Risto had a (-41) this year with Sabres and for a career his is an astonishing (-143)! I don't know the WHOLE story, but I thought I read somewhere that Lehner battled not only with conditioning and weight gain, but also with demons regarding vices while he was with Ottawa and Buffalo. If I remember correctly, he was also dealing with symptoms of depression of some sort as well. He joined the Islanders in much better shape, and according to some insiders, seems to have kicked many of his self destructive habits, and is now, with the support of family and friends, much more focused on hockey. Add to that, that he seems to have found a coach, a team, and a system that plays to his benefit, and I think the results we are seeing from him are very telling. Good for him, I say. I always felt he had more to give when he was a Senator and a Sabre (he showed flashes of brilliance), but found it hard to defend his actual game on the ice at the time. Amazing what a clear mind, healthy living, family support, and focus can do for a professional athlete, eh? Just crazy how fast Trotz has turned this team around. And after they lost JT. @pilldoc is right. It's over. Done. Finito. I forsee a shake-up this offseason. My guess is Kessel gets dealt (4 years - 2 Cups - I'll take that return). That gives JR some cap space to play with this offseason. He did well getting them younger with McCann and Bjugstad. Time to tweak the team around the core again. If the Isles would have traded him instead of letting him walk, I wonder how much better they'd be now. Good points. Remember though, Murray got his chance because of Fleury's injuries (concussions). 7-8 year age gap. $4,000,000 salary gap. At the time it was a no-brainer. I still think it is. Fleury has gotten better with age but I don't think anyone saw that coming. Goaltending is the least of the Pens' concerns these days. This is the way I went for almost exactly the same reason. I, too, don't think it's a particularly hard pick. So, of course, you're wrong.